Okay - so I am no expert cook, but I love to give things a go... and it is surprising how easy and fun it can be to decorate cakes... 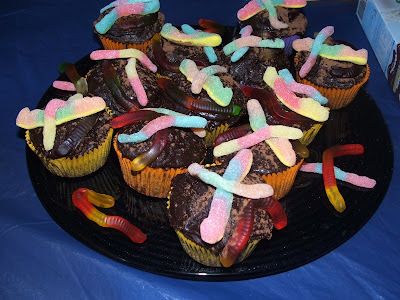 I had a great idea recently for my son's 8th birthday party... worms'n mud cupcakes... yum! 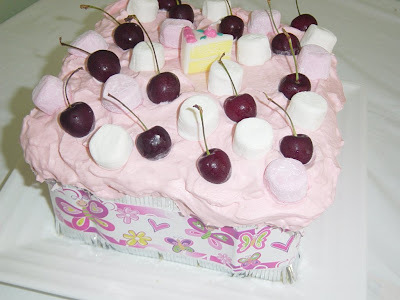 Also, pink whipped cream worked a treat on a sponge for my little darling's 1st birthday (jam in the middle... mmm). Dreamy pink whipped cream works really well on a cake! Worms'n Mud Cupcakes - perfect for boys!